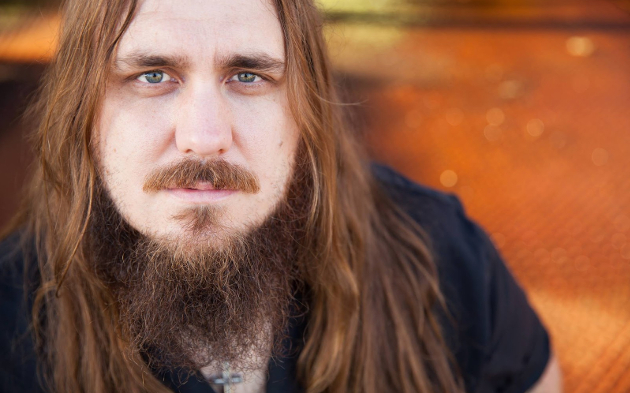 Justin Wells first made his name in music as the frontman of the Southern rock/country band Fifth on the Floor. At one point considered one of the most promising new torch bearers of the Southern rock traditions, like so many outfits, especially in the Hank3/Shooter Jennings underground scene, the band was never able to find that next level of true sustainability like many of the Southern rock bands budding out of the Texas scene and other places. They were starring at a future of touring the country in a smelly van and playing to half empty barrooms ’till kingdom come, and soon band members started falling off. 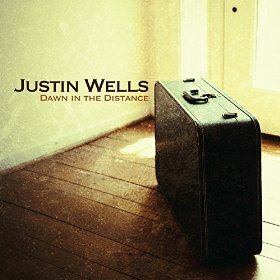 Instead of carrying on under the same name but with the original nucleus of the band lost, Justin Wells decided to dissolve the band and step off the road. But you knew Justin would not be gone for long, and the disillusion of Fifth on the Floor and all the lessons of his experiences constitute the inspiration for his solo release, Dawn in the Distance. One of the reasons Fifth on the Floor did not resonate to a wider audience was they were not the right band for the right time. Timing is so imperative to launching a band or artist, or to crushing their dreams for what might seem as unjust circumstances. Though Justin had contributed some decent songs through Fifth on the Floor and they put on one hell of a live show, the sound on their Black Country Rock/eOne Music release Ashes & Angels relied too much on heavy riffs, power chords, and production, in an era when everything was moving towards less guitar, and more emphasis on songwriting. Justin’s writing always had the hallmarks of good songs, but they felt more like the interpretations from his heroes and opposed to truly original sentiments. In country music and Southern rock, the past legends of the genre loom so large in the minds of acolytes, it’s not strange to see new artists mimic the style, attitude, and even mannerisms and dress of the artists who came before them through both homage and influence. But there’s not always enough of something original to make it resonant in our time, or ultimately sustainable. And when Justin Wells did have a good lyric or a poignant moment in the Fifth on the Floor era, it was many times drowned out by the band or the production behind it. Dawn in the Distance is Justin Wells getting it just about right. With stunning insight and honesty, Wells speaks upon the disillusion of dreams, the realization of new ones, the reality of the pitfalls of the rock and roll fantasy, and does so with cutting clarity and poetic facility. In a world where we’re all taught from young children to dream big, while reality remains inequitable and uncaring, we’re most all the products of broken dreams. Yet the ones who survive and stand tall after reality tries to break their backs are the ones who decide to grow through the experience and replace fantasy with the love of simple goals and daily purpose as opposed to drowning sorrow in dependency and self-loathing. This is what the songs of Dawn in the Distance speak to. “The Dogs”—which may rival all others for one of the best of 2016—speaks to those souls whose lot in life always seems to be one step behind and once removed from the riches of fully-realized dreams. So does the opening track “Goin’ Down Grinnin’.” Though ultimately Dawn in the Distance presents a story of hope and contentment, it doesn’t spare any anger or sad stories on the way to the moral. Instead it revels in them. And even though you feel very aware that Wells is singing about his own lost era trying to push a stone up a hill in an ultimately failed enterprise, the explanations are universal enough to be relevant to all of our heartaches. All this is fine and great, but if the music itself is not representative and complimentary of the lyrical sentiments, the story can get lost in the shuffle just like Fifth on the Floor did. Just as much as the writing, Dawn in the Distance finds the right note in the production and arrangement to make the story come alive, including the use of backup singers and ambient pulsations at the appropriate times. Music is a young man’s sport, and if you’re not able to get it to stick in your twenties, the odds begin to stack against you. The “Get In The Van” attitude may have worked for Henry Rollins, but it is no longer 1985. And the songs about whiskey and cocaine may have been cool in 2005, but now they sound cliche. Either you grow as a person, and grow with the times, or you risk being left behind. Without an ounce of regret, Justin Wells looks back at his time in Fifth on the Floor with bitter fondness and an splash of pride. But he’ll be damned if he continues to live in the past as life goes flashing by him in a windshield. Instead, he will write his own future. Phenomenal album. Every fan of real music deserves to hear this record and hopefully purchase it and support a real artist as Justin is! The Dogs is about as killer of a song as you could ask for, it paints a picture of the struggles and strides of trying to “make it” in this wild time of music. 2016 hasn’t disappointed with so much new great music to hear. Fifth On The Floor is a band I admittedly never got around to listening to unfortunately. Too much music, too little time. I’ll have to give this a spin since you gave it such high praise! I for one have been anxious to hear this record! Being from southern Kentucky i was a huge Fifth on the Floor fan. I consider the Dark and Bloody Ground and Ashes and Angels records absloute modern southern rock classics. I was very bummed when they broke up, but i have to say, Justins solo album has impressed me from what ive heard. Fifths records were best cranked loud headin to town in the truck, Dawn sounds more reflective and subdued, but thats not a slight at all. Maturity and life lessons are what this ones all about. Chalk another one up for The Commonwealth id say! I know this sounds so cliche, but hands down one of the nicest guys you will ever meet. I was also bummed when fifth on the floor split, but justin has taken his music to another level. I saw his Facebook page has awesome stories about each song on this album. He is the real deal in a world of fake amateurs! For my money, this album will go down as one of the best of the year. I was absolutely blown away with the first half or so of the album. “The Dogs”, “Going Down Grinning”, “Still No Rain” and “Three Quarter Gone” are damn near perfect. I was sorta ambivalent to Fifth on The Floor. I like some of their songs, even loved a few of them, but overall I’m not sure I was ever blown away by an album of theirs. I was blown away by this album though. Between this album, Cody Jinks, Drive-By Truckers, Reckless Kelly and Matt Woods all having new albums coming out in the next month or two, it’s going to be a fun couple of months for fans of real, intelligent, heartfelt music. All we need now is some news about a new Chris Knight album and Jason Eady to get around to releasing the album he has been working on! I hope this album sells well enough for Justin Wells to remain a player on the Country/Southern Rock/Americana scene. Cause we need more albums like this one. Digging this and feel the same about 5th on the floor (although the name I’m 110% good with), excited about the others too – the ‘what it means’ DBT song is awesome. Also good commentary regarding their heavier music while everything was kind of moving in the opposite (stripped down) direction, makes a lot of sense. Thanks for the album Mr. Wells & review Trigger! I’m glad someone else is excited about the new DBT album! Some of the comments on the internet have been incredibly negative regarding the first two tracks, which I guess is to be expected considering the topics being written and sung about (the confederate flag and police shootings), but I think it’s perfectly in line with so many previous DBT songs. The stupidity of some corners of the internet is amazing haha. The more I listen to this album, the better it gets. Fifth on the Floor had an awesome album and some awesome songs, but I don’t think they ever put together an album as cohesive and well-written as this one by Mr. Wells. Not to sound like a broken record, but this album should be–and I think it will be–on a lot of “best of” lists come December. Is there a place online where I can buy a physical copy? I’ll buy the digital only version but wanted to check out my options. This is a great album. It made it into my collection and that’s not easy to do. It’s a double barrel blast of a rateing!! That’s me. Really like this guy. thanks for another good intro. I’ve “Sold” some tunes/music that I first heard hear, by sending links to my daughter, who then bought the music. You deserve a cut of all the albums you’ve helped sell. You sold me. I’m ordering the CD now. I’m glad I caught Fifth in concert before they broke up. In addition to being an excellent musician, Justin looks like a very bad dude. He looks like he should be mixing it up with full patch bikers in Sturgis or at the Iron Horse Saloon. Can’t wait to pick up this cd. Stellar! Thanks for the review, another new artist for me. First saw Justin randomly playing solo on a porch of some dive in Lexington, probably about 2007 or 08, and bought a Fifth on the Floor “The Color of Whiskey” album for 5 dollars that night. Saw him again several years later as a substitute fill-in opening for Mickey and the Motorcars or some other good Texas band that made its way all the way up to Kentucky for a change. I always liked that album, but it got buried until a few months ago, when I came across it again, looked him up, and saw he was crowdfunding (on some level) this latest album. I bought it and I love it — “Dogs” became the official theme song of a recent road trip in Moab. Agree with the review– first part of the album is superior. True definition of a musician who just grinds it out, genuine as it gets. Man, this album is awesome. This is the reason I love this site. I would have never found Justin Wells or this album without this review. Thanks Trigger! I’m digging Can’t Break My Heart, great song. I’m plenty late to the party, but I’ve only recently gotten around to buying and listening to this album. I love it. The whole thing just feels very warm and genuine. Portrays real life and real disappointment but avoids bleakness. Hope it finds its way to some of the year-end lists. Much deserving.